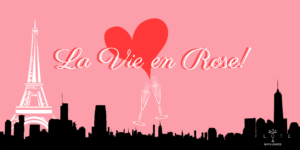 Book your table today* for guaranteed lounge seating and impress your date with “ La vie en Rose “ our VIP Package which include one bottle of Piper Heidsieck Champagne Sauvage or similar and one platte of smoked salmon to share. If you wish, upgrade to one of our two curtained VIP booths with “ La Vie en Grand Rose” our Emperor package which include one bottle of Dom Perignon, one Caviar Petrossian, one Foie Gras, one smoked salmon plate and artisan chocolates. Please note these important terms and conditions: * Please confirm time of reservation by phone: Flute Midtown +1 212-265-5169 / or by email mentioning Valentines, date in the subject at partyplanner@flutebar.com.